Much of the coverage of yesterday’s oral argument in Benesik v. Lamone, the case of congressional gerrymandering in Maryland, noted the apparent uncertainty among the Justices over the various theories that have been propounded in this case, among others, on why extreme gerrymandering might violate the federal Constitution. Referencing the Wisconsin case argued last November, as well as the North Carolina case that has arrived at the Court more recently, Justice Breyer wondered whether it would be wise to have all three argued together simultaneously, so that the theories raised in each – including those in amicus briefs – could all be compared against each other. (Page 26-27 of the transcript.) The idea seemed to be that the one best theory might emerge from this intellectual free-for-all. But what if the Constitution’s relationship to the problem of partisan gerrymandering doesn’t work in a holistically unified way? What if there are multiple provisions in the actual text of the existing Constitution that bear on the problem to some extent, each relating imperfectly to the phenomenon of partisan gerrymandering in its own implicit and rather indirect way? The Court has struggled for so long with the issue of partisan gerrymandering (and has come up empty each time it has tried to identify a workable theory for tackling the issue), that the assumption has been that there is either one workable theory or none at all. It couldn’t possibly be the case after all these years—could it?—that there are actually multiple judicially manageable ways to identify an egregious partisan gerrymander as violating the federal Constitution? But there are reasons to be skeptical, at least early in the stages of the intellectual inquiry, that there would be a single “grand unified theory of partisan gerrymandering” under the U.S. Constitution. For one thing, there is no one clause of the Constitution that explicitly identifies gerrymandering as a practice that is unconstitutional. (If there were, the Court’s obligation to enforce that prohibition would be much more directly straightforward under Marbury v. Madison, as I’ve discussed elsewhere.) Instead, if partisan gerrymandering is to be unconstitutional, and to be judicially invalidated as such, it inevitably is going to be because of an inference of how some constitutional provision implicitly pertains to the problem of partisan gerrymandering even though that provision does not say anything explicit about the practice. But once we are in the realm of inferences and implications, there is immediately the possibility that multiple constitutional clauses—not just one—have such implications and potentially warrant such inferences. Equal Protection, Freedom of Speech, Due Process, Biennial Elections of Members Chosen by the People—all of these clauses possibly or arguably bear in some way on the concededly pernicious practice of gerrymandering, but they all do (if they do) inexplicitly and indirectly. Also, the idea that multiple clauses of the Constitution might bear upon a certain kind of practice is hardly unusual. State laws that are economically protectionist in nature, for example, potentially raise issues under the Commerce Clause, the Privileges & Immunities Clause (of Article IV), and sometimes even the Equal Protection Clause. Furthermore, although it’s been a long time that I’ve practiced law in the area of criminal procedure, my recollection is that challenges to the composition of a jury can occur under both the Sixth Amendment as well as Equal Protection (and potentially maybe also Due Process). Likewise, challenges to police interrogation practices can occur under the Fifth and Sixth Amendments (and maybe other constitutional combinations, including the Fourth Amendment, at least insofar as Miranda warnings prophylactically protect multiple constitutional rights). 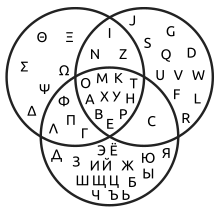 Overlapping constitutional clauses, and jurisprudential doctrines flowing from those clauses, can lead to situations that (at least metaphorically) look like Venn diagrams, in which some fact patterns are covered by several clauses, some by only one clause, and some by none. It is at least theoretically possible that something like this might apply to the problem of partisan gerrymandering. And the availability of new statistical techniques at least raises the question whether some theories that would not have been judicially manageable in the past might now indeed have become so, because measurement and line-drawing is now possible in a way that previously was infeasible. How is the Court best to proceed given that several approaches, rather than just one, might now be available? It is certainly tempting to think of the Court, as Justice Breyer suggested, gathering all of the pending cases and deciding them all at the same time, so that the federal constitutional law applicable to partisan gerrymandering can be as coherent and well-organized as possible. But even if the Court were to do this, there will be other partisan gerrymandering cases in the future that might present new theories not encompassed by the pending trilogy of the Wisconsin, Maryland, and North Carolina cases. At yesterday’s oral argument, for example, Chief Justice Roberts asked, “Is it appropriate in a case like this to look at what the district looks like in terms of the boundaries and the extent to which it complies with traditional redistricting criteria?” (Page 48 of the transcript.) This question dovetails with some recent scholarship (including, in the interest of full disclosure, some of my own), exploring whether a federal constitutional claim can be premised on a showing of a gerrymandered district as distorted as the original Gerrymander of 1812. But none of three cases in the pending trilogy frames a federal constitutional claim in that particular way, and so no matter how the Court rules in those three cases it would not resolve definitively the validity (or not) of this alternative distortion-focused approach. Under Marbury v. Madison, for better or worse, the Court’s role is limited to deciding constitutional questions that come before it in properly presented cases within its jurisdiction. The Court has no power to issue advisory opinions; that was settled long ago. Consequently, the Court cannot observe the phenomenon of partisan gerrymandering in society and opine, in the way professors can, about whether that phenomenon is unconstitutional and why. The Court can only resolve the specific claims that come before it in specific cases. Thus, it might be that the specific claim in Wisconsin fails because of a technical “standing” defect, depriving the Court of jurisdiction over the claim on the merits, that was not apparent at the outset of the lawsuit. Tough luck, but it would mean that Wisconsin case is not a proper vehicle for addressing the merits of whether the plaintiffs’ claim, premised in large part, on the “efficiency gap” metric is valid. Likewise, it may be that the Maryland case is procedurally defective for addressing the merits of the plaintiffs’ “retaliation” theory under the First Amendment because it arises now in the context of motion for a preliminary injunction, and that motion is inappropriate for reasons of timing (as was explored by several Justices at yesterday’s argument). If those two cases fall by the wayside in that way, then the next inquiry would be whether the North Carolina case properly presents a claim on the merits for the Court to resolve under Marbury v. Madison. But the Court’s consideration of the issue would be confined to the record and arguments in the North Carolina case. It necessarily would not extend to future facts or theories that might be developed down the road in new cases, especially those that might arise after the 2020 round of redistricting. There are those who see the current circumstances as a “now or never” moment in the history of federal constitutional law as it concerns partisan gerrymanders. I understand that sentiment, given Justice Kennedy’s perceived status as the “swing vote” on this issue and the speculation that he might step down from the bench sooner rather than later. But I think focusing solely on the current circumstances is too short-sighted. A 5-4 ruling this year easily could be overruled 5-4 the opposite way just a few years down the road. (See Citizens United v. FEC, overruling McConnell v. FEC.) The challenge for the Court is to craft durable precedents on the problem of partisan gerrymandering that will command respect on the Court from one decade to next, as the federal judiciary inevitably confronts constitutional challenges to each new round of redistricting. The problem of partisan gerrymandering is not going away, and that is true no matter how the Court decides any of these cases. At most the federal Constitution, properly construed, constrains extreme gerrymanders. It does not require perfectly fair redistricting. For that, Congress (with respect to congressional elections) or the states would have to establish genuinely nonpartisan redistricting commissions (and they would have to operate in genuinely nonpartisan fashion). The judicial role in policing extreme gerrymanders, moreover, would need to be sensitive to the obligation of the judiciary to refrain from micromanaging the decennial task of redistricting or intruding excessively in what inevitably must remain a domain dominated by partisan politics. Partisan gerrymandering will be a problem, for American democracy as well as American constitutional law, for as long as the Constitution itself remains textually silent on the topic of gerrymandering. The recurring—and genuinely difficult—challenge is how to apply the document originally drafted in 1787, which says nothing explicit on how political “factions” might inappropriately manipulate legislative lines, to an evolving practice of democratic governance, which over two centuries later has well-developed political parties (in a way not entirely anticipated by the Founding concept of “factions”), and unforeseen technological developments that permitted the sophisticated manipulation of district lines far more systematically—and thus far more destructively to republican self-government—than what Elbridge Gerry and his fellow partisans in the Founding Era could have contemplated. Confronting this challenge requires what Richard Fallon, in his superb new book Law and Legitimacy in the Supreme Court, calls the exercise of “reflective equilibrium” as applied to task of constitutional adjudication. “Reflective equilibrium” requires moving back and forth between reasoning about the implications of general constitutional principles, on the one hand, and intuitions about the proper outcome of specific fact patterns, on the other. With respect to the problem of partisan gerrymandering, “reflective equilibrium” means thinking systematically about the First Amendment, Federalism, Judicial Restraint, and so forth, and the relationship of those general principles to the evidentiary records established in the Wisconsin, Maryland, North Carolina, and potentially other cases. “Reflective equilibrium” is characterized by its back-and-forth, seesawing nature. It is not a linear, deductive process. A Justice easily could think, “this gerrymandered district (or map) must be unconstitutional; it’s so egregious.” Justice Kagan said something like that with respect to the Maryland case yesterday. (See page 39 of the transcript.) But how to fit that intuition about the specific facts to general constitutional principles? Well, that requires moving back and forth between those principles and the specific facts, until (one hopes) one reaches “reflective equilibrium”. But it’s a messy process, made more so by the fact that there may not be a single “reflective equilibrium” point to reach. Instead, there may be the need for multiple “reflective equilibrium” points, one for each gerrymandering case on the Court’s docket. The Wisconsin case calls for balancing the general theoretical claims and points raised there against intuitions about the specific facts developed in that case’s specific record. Likewise, the Maryland case involves somewhat different general theoretical principles, because of how the plaintiffs there have chosen to litigate their case (as is their right to do), to be considered in relationship to the specific facts on the ground in Maryland, as established in the record there. And so on, and so forth. Constitutional law inevitably has a dynamic quality, as Fallon explained in another one of his great books. It never can be permanently fixed at any given moment in time. This point certainly applies to partisan gerrymandering. Thus, no matter what the Court says in the Wisconsin and Maryland cases, don’t expect those opinions to be the last word one way or the other. The North Carolina case will need resolution no matter what, and it presents a different combination of facts and theories than the other two. And, most assuredly, there will be further cases down the road. To be sure, in the system of judicial precedent that characterizes adjudication in the Supreme Court, each case matters for the next. What the Court says in the Wisconsin and Maryland cases will be important, more or less so depending on how broadly or narrowly their rulings there—and especially whether those cases ultimately are disposed of on procedural grounds without reaching the merits. But what will be the federal constitutional law of partisan gerrymandering in 2021 and 2022, when the next round of redistricting cases arise? The answer to that question can be shaped, but not definitively settled, by decisions that occur in 2018 and 2019. And the answer may end up being that not just one, but several different, constitutional clauses and principles constrain various forms of especially extreme partisan gerrymanders—although no single constitutional theory solves the problem of gerrymandering comprehensively.